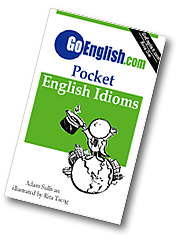 Today's Idiom = "Get Around"
Getting around is moving from place to place. Example: "It is only two weeks since his operation, but your father is getting around very well." Example: "My grandfather is getting older. He doesn't get around so well anymore."